As an artist and lifelong knowledge seeker I’m constantly filling my need for inspiration and content, often finding fascination in blogs that focus on scouring the web for the very best in Arts, Science, Consciousness Expansion and Global Culture information. The following is a list of some of the inspirational sites I frequent and subscribe to during my own evolutionary journey. Hopefully you find something here that interests you as well. Enjoy! 1. This Is Colossal – One of my favourite daily inspiration websites, This Is Colossal is a global hub of all things cutting edge and creative. Filled with some of the most unique and interesting artworks in a single location, a must read for lovers of all things epic! 2. My Modern Met – With an emphasis on wide ranging creative cultures, My Modern Met is rich with art from all reaches of the globe. Their street art section is a must to check out. 3. What The Cool – Whenever I need to break the mindset this is my go to site, full of hilariously creative work, guaranteed to amuse. 4. New Scientist – 5 years ago I made the decision to not read newspapers or watch news programs on television again, instead I put down for a subscription to New Scientist’s weekly magazine and added their main feed to be the first thing that loads in my RSS reader each morning. It’s amazing how much your perception of the world will change when you actively select what kind of media and news to allow into your day. The most amazing discoveries and research is covered daily, a fantastic partner with my morning coffee. 5. Reality Sandwich – Co founded by my favourite author Daniel Pinchbeck, and with a wealth of consciousness exploration experts and writers including Graham Hancock, Jonathan Talat Phillips & Gary Lachman, Reality Sandwich dives deep with frequent articles exploring topics including Shamanism, Consciousness Expansion, Spiritual Growth and Eco-Evolution. P.s if you haven’t read Daniel Pinchbeck’s book Breaking Open the Head , check it out. It’s a book that changed my life in an amazing way. 6. Top Documentary Films – More a blog for videos. I’m not a big fan of most television shows instead I opt for documentaries, I watch 1 documentary each day and since iTunes recommendation service still leaves a lot to be desired, I’ve found Top Documentary Films to be a great source for finding films I may be interested in before making the purchase. 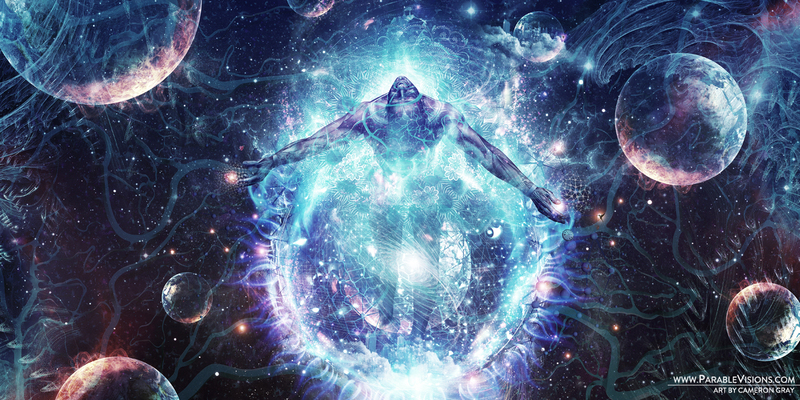 I find a lot of inspiration for my own artwork from documentaries, Through The Wormhole: What Are We Made Of? 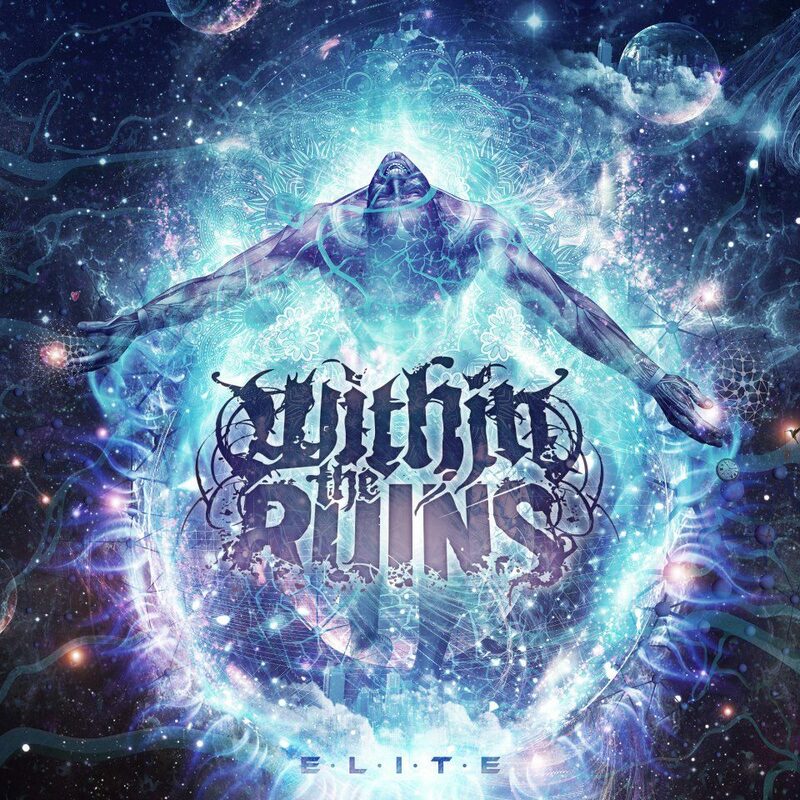 Narrated by Morgan Freeman inspired an entire piece of mine “All From Nothing, We Became Something“, which later went on to grace the cover of Within The Ruins’ “Elite ” album. 7. Mysterious Universe – Mysterious Universe brings you the latest news and podcasts covering the strange, extraordinary, weird, wonderful and everything in between. The Mysterious Universe podcast debuted in 2006 and has since grown to a huge following with millions of downloads from around the world. 8. Daily Dose of Imagery – For 10 years Toronto based photographer Sam Javanrouh captured 1 image every day and uploaded to his photo blog. The full archive of Sam’s journey is still shared on his website, and is a thing of beauty to explore. 9. SolPurpose – SolPurpose is a visionary arts & culture hub that I’ve been honored to be friends with over the years. The website is a must view of leading visionary artists, festival news & events. The SolPurposeFacebook page is also a fantastic feed to subscribe to. 10. Ignite, Art & Humanities Channel – Sharing stories of artists and innovators who are changing the world in creative ways, Ignite is one of those websites which inspires me daily, if you need to be reminded that there are still good people in the world, you’ll find them here. 11. Fubiz – Daily Dose of Inspiration, everything from incredible sculpture, design, photography, architecture and installation art, Fubiz has it all. Constantly being updated multiple times a day. A great site for a spark of inspiration. 12. Abduzeedo – Simply one of the BEST websites on the internet, I highly recommend subscribing to theAbduzeedo Daily Inspiration section (I was even lucky enough to be featured on there!). Whenever I’m killing some time riding the trams of Melbourne I can often be found exploring the incredible wealth of inspiration this site provides. 13. Daniel Pinchbeck Official Blog – Author Daniel Pinchbeck has been featured in the New York Times, Esquire and Rolling Stone to name a few. Daniel’s blog is the home of his powerful writing and conscious shifting essays. If you’re looking for some great writing to chew on, you’ll find it here. 14. Witness This – I only recently became aware of the Witness This blog when I was asked to do an interview for their art section. Upon visiting the site I found a wealth of rich and fresh works being featured. I then perused the entire site, stimulating my brain with the art and features on the site. 15. Inspire Me Now – Sharp and to the point, Inspire Me Now is a great addition to your RSS feed. There’s some great finds on here that I haven’t seen anywhere else. New additions to the Store section have been added, including these iPhone & Samsung Galaxy cases. Grab yours today! May 18, 2012 was a magical moment in my life. When Dead Letter Circus pulled me on stage to meet a sold out HiFi Bar of beautiful Melbourne people. As I walked on the stage and heard the first few rows begin cheering my name, it was the first realisation in my life that the art I create had connected with people that I may never know and never be able to thank in person. Their beautiful reception of me was something I could never have imagined in my life. I was lucky to capture this magical moment which hangs on my wall as a constant reminder that the things we do in life have the power to connect with people beyond our deepest imagination, and for that I’m eternally grateful to share my art with the world each day.